The Ultimate Revelation On Outdoor Custom Lighting. The Ultimate Revelation On Custom Outdoor Lighting Revealed. 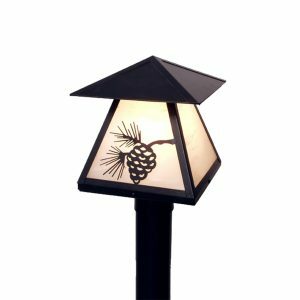 Whether you own a single-family home, townhouse or condominium, you have to give outdoor lighting the same consideration as your indoor lighting. 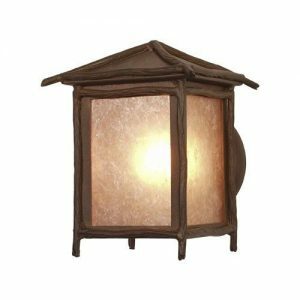 After all, authentic, handmade, outdoor lighting has so many benefits. Provides increased safety after dark. In addition to making it easier to maneuver around the outside of your home, it helps to thwart crime. Enables safe navigation (seeing how to get from one location to another). 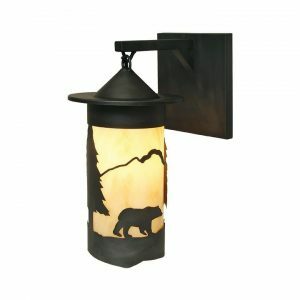 Creates a warm, inviting welcome when family and guests enter your home. 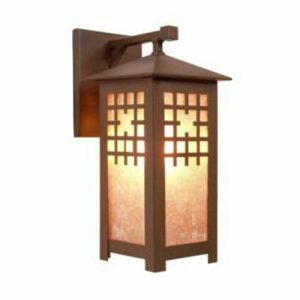 Highlights and adds style and drama to interesting landscape or architectural features. Helps create a comfortable and communal surrounding, such as a defined seating or entertainment area. These benefits aren’t givens just through the mere presence of outdoor lighting. To make the most of them, your outdoor lighting needs to be carefully considered and executed correctly to reap the highest rewards in looks and value. The saying, “You Get What You Pay For” rings so true when it comes to lighting. There are many so called custom lighting manufactures that have only one thing in mind; Taking Your Money! 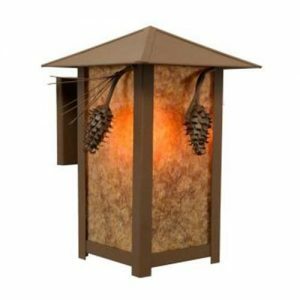 They offer cheap, machine made fixtures that were never designed to withstand the harsh, long term conditions of the outdoors. Made from flimsy, thin aluminum and cheap plastics that will fail once exposed to the outdoor environments for any length of time. And, when you call to get a replacement fixture, you end up either paying a costly replacement fee, or buying a new fixture all together, only to repeat the process all over again. 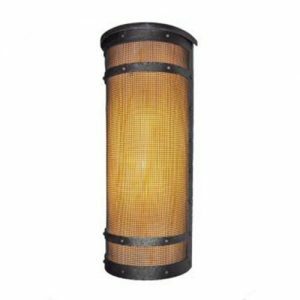 Despite Steel Partners Lighting Outfitters USA holding several U.S. patents on many of our lighting fixtures, several companies have taken our lighting designs, changed them just enough to avoid U.S. patent penalties, only to mass produce them using cheap, unreliable materials, package and sell them as so called “high quality” lighting. In fact, it’s the complete opposite. 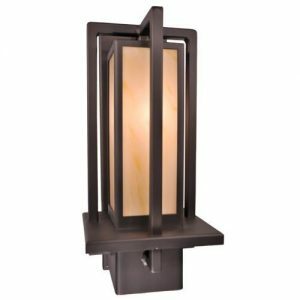 Steel Partners Lighting ONLY manufactures handmade, 100% solid steel light fixtures, some of which weigh upwards of 30 lbs for one outdoor, Dark Sky Approved, UL listed, Wet-Location Wall Sconce. 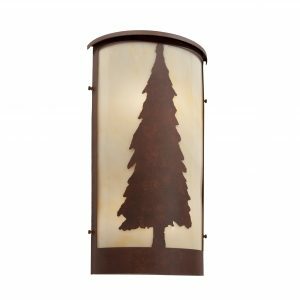 Our lighting fixtures are designed to last for many years, not months. 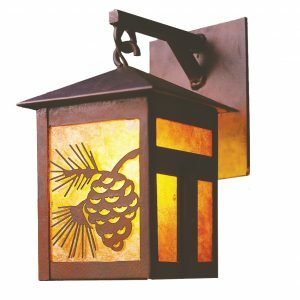 If you want the exterior of your home to be the envy of the neighborhood, knowing it is surrounded by original, handmade, custom steel lighting, providing a safer, night time surrounding for your loved ones and knowing your outdoor lighting will withstand the harshest weather mother nature has to offer for years to come, then this article is for you. Now, Let’s Show You How! A good beginning is to simply walk around your home at night with a flashlight. Take note of dark areas that should be lit for safety and landscape, or garden areas that could be lit for additional interest or beauty. 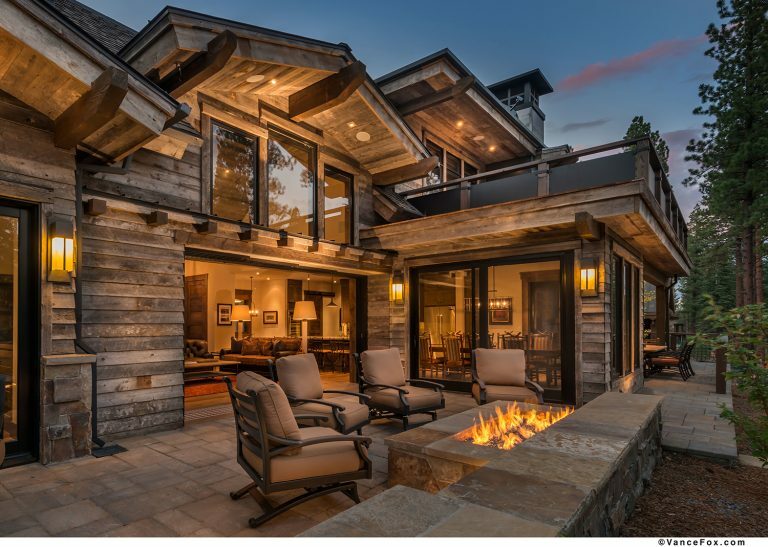 Just like indoor lighting, think about the types of light–ambient (general lighting), task (helps you perform specific tasks, such as preparing and cooking food), and accent (to highlight and add drama to architectural or landscape features and of course outdoor grilling). Don’t forget specific areas that could benefit from lighting, such as the front door, a pool, steps, driveways, garage doors, pathways, decks or patios, address plates, landscaping, flagpoles and outdoor cooking areas. While you’re assessing where you need light, also assess lighting angles. Direct lighting isn’t always the best, as you don’t want it where it can glare in people’s eyes; you may find diffused or ambient light is the better route. Stay with Dark Sky Approved outdoor lighting and you will be fine. 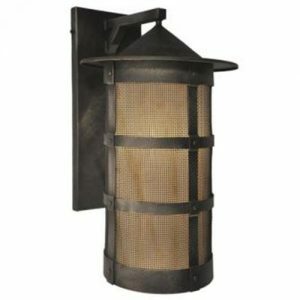 Steel Partners Lighting offers many styles of exterior lighting fixtures that can be used in a variety of ways. 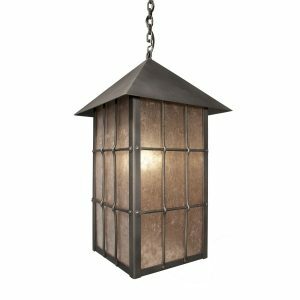 (roughly 350 choices, not including our custom lighting) In addition to the post mounts, pendant, ceiling fixture, wet location and wall sconces, other categories of our outdoor lighting are becoming more popular, such as wine bottle lights and custom made lighting. 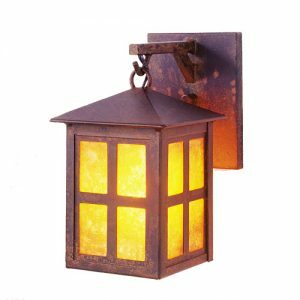 Do you want your outdoor lights to mimic the style of your indoor lighting in order to connect the two? Do you have a completely different architectural home exterior and want to accentuate that instead? 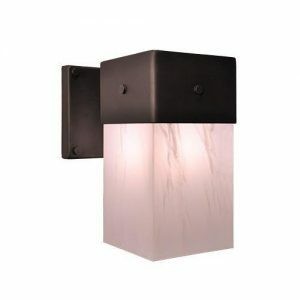 Or, do you want to take the minimalist approach, so the fixtures almost disappear? 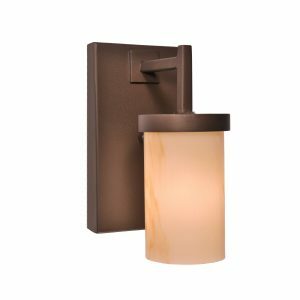 Our lighting styles, just like furniture and home accessories, are vast, like our San Carlos to Rouge River, Pasadena, Tahoe, Timber Ridge —and many more. 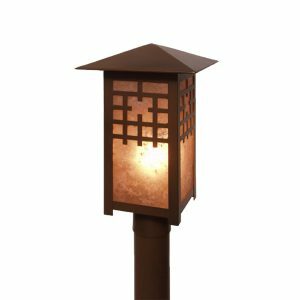 One of the greatest benefits of our lighting, they are all handmade from 100% solid steel and powder coated to give you years of functionality and beauty. 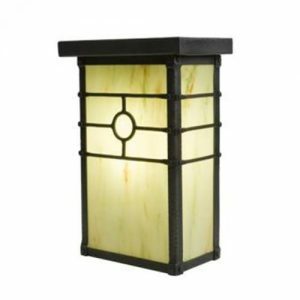 So, you will definitely find something to achieve your desired outdoor lighting style. The number of people who believe their outdoor space is an important extension of their home is growing. In fact, according to Realtor magazine, the creation of an outdoor room is one of the biggest trends in home ownership in 2018. No longer made up of only a picnic table and small grill, an outdoor room is now defined as a multi-functional space that can handle food prep and cooking, is large enough for lounging and dining, and has a hearth product to extend the season. Creating these areas and designing enhanced light schemes around them can greatly increase the value of your home and give your family years of pleasure to come. 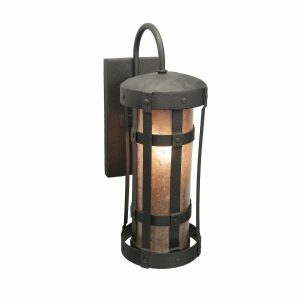 When you’re ready to execute your outdoor lighting strategy, check out our selection of fixtures available from Steel Partners Lighting. Don’t see the style your looking for? Not a problem, 80% of our handmade fixtures are custom made. Tell us what you want, we give you the design, function and detail you want. Contact us and let us know how we can help you meet your lighting needs and wants. It’s what we’ve been doing for over 25 years. 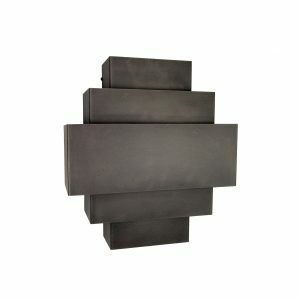 We are the original, handmade, custom steel lighting manufacture. Did You Know This About Dark Sky Compliance? So what is the dark-sky movement? It’s a campaign to help reduce the amount of light pollution. Light pollution is mostly caused by the over use of poorly designed lighting fixtures. But, here at Steel Partners lighting, we believe in the importance of well designed, handmade lighting fixtures and helping to reverse the affects of light pollution. 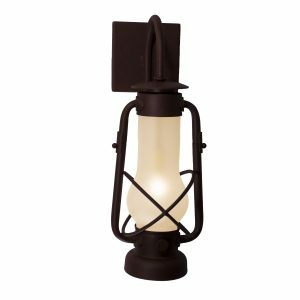 Here’s some information on making sure your rustic modern outdoor lighting is Dark Sky Compliant. 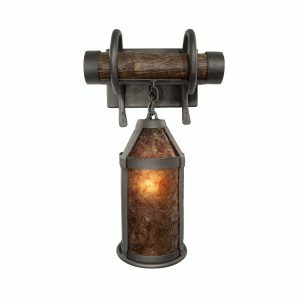 When picking rustic modern outdoor lighting fixtures, make sure that they’re fully shielded so the light is pointing downward. This cuts down on the light pollution, minimizes on glare, and facilitates better vision at night. You can also reduce light waste by only lighting areas that need it. This also means turning your lights on only when needed, or setting them onto a timer or sensor to help reduce the amount of light waste. Contact us for more information on how we can add sensor features to your lighting purchase. Blue light is known to be harmful to not only nature and the wildlife in it, but also to humans. While LEDs are great energy efficient lights, they tend to contain larger amounts of blue light. Therefore, lights should have a color temperature of no more than 3000 Kelvins. Look for “warm” lighting, or bulbs with an amber color, like our Kahki or White Mica lenses that lower the color temperature like low-spectrum LEDs. Make sure your lights aren’t unnecessarily bright. Figure out the minimum amount of brightness you need to safely navigate in the dark and make sure that the lighting you choose meets that minimum. Steel Partners Lighting strives to reduce light pollution in every fixture we make and help bring back the beautiful night sky. You can help by choosing lighting that meets the standards of Dark Sky Compliance. If you’re wanting to find out more on our Dark Sky Approved lighting, or reducing light pollution in your home by changing out your lighting fixtures, contact us below. We look forward to speaking with you soon.